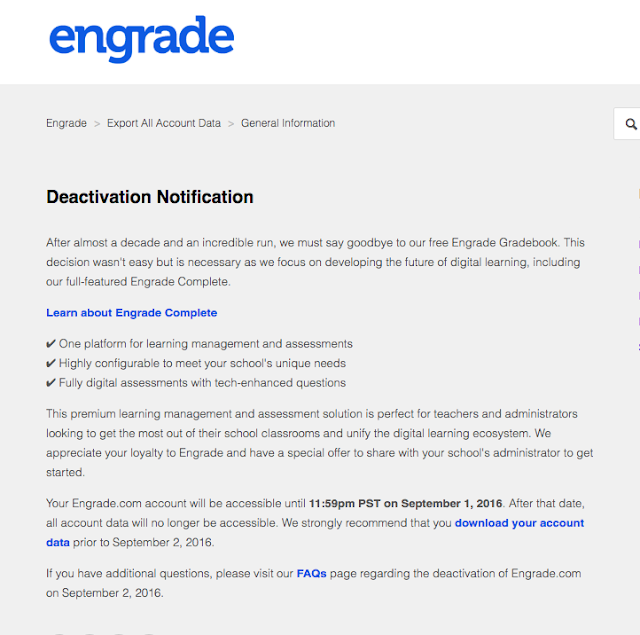 For those that use Engrade as your gradebook - it will be deactivated. 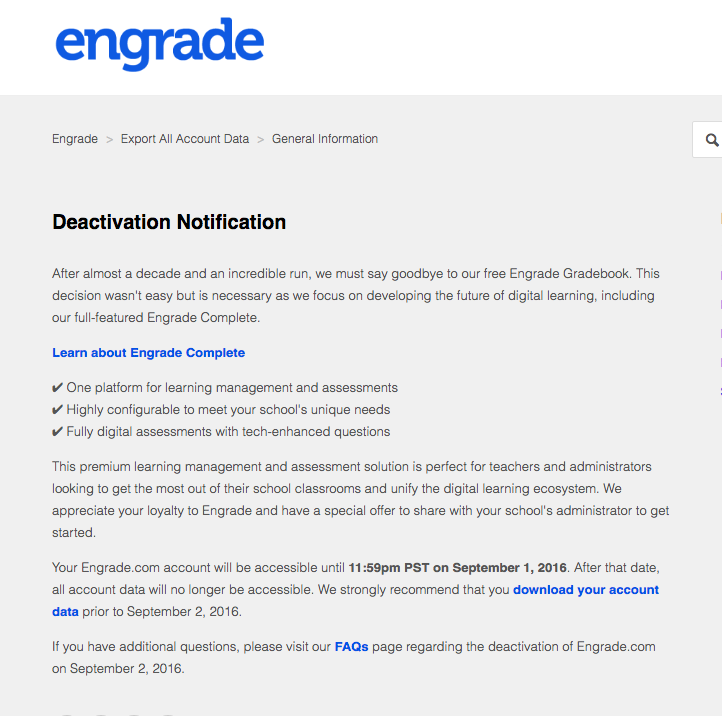 Here is what the site stated when you log-on to your Engrade account. If you want to store any data be sure to follow the directions that are on the site, as it will be gone by 9/2/16.